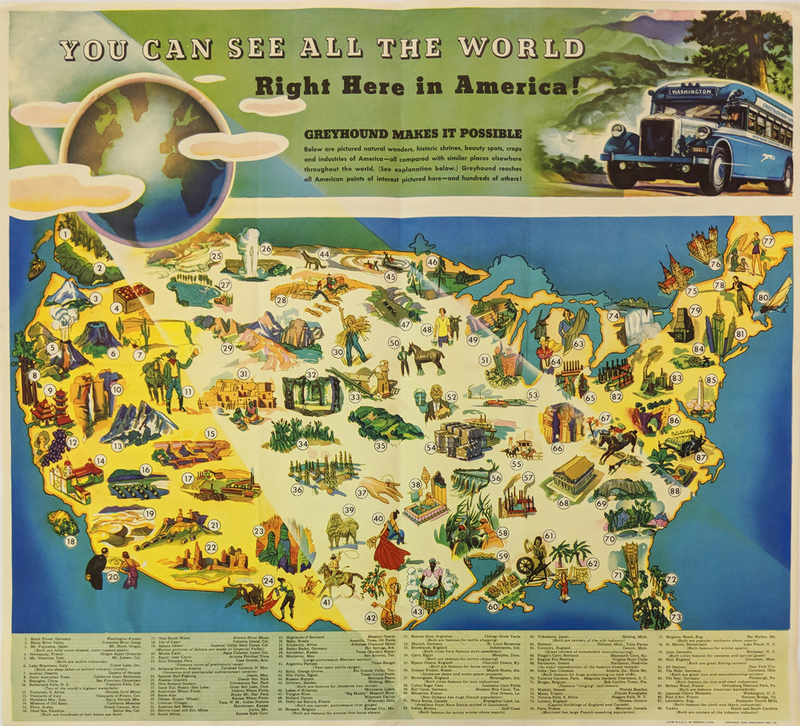 1935 Greyhound's Pictorial Map: "You Can See All The World" Right here in America. 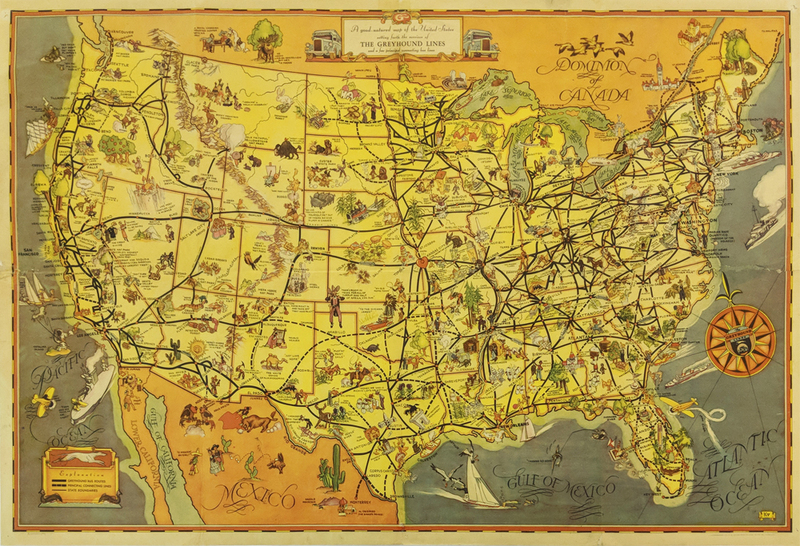 Map matches 88 US destinations with foreign places i.e. Baku Russia w/ Amarillo, Tx, Arabian Deserts w/ Nevada Deserts. Vignettes of sites. Printed in color. 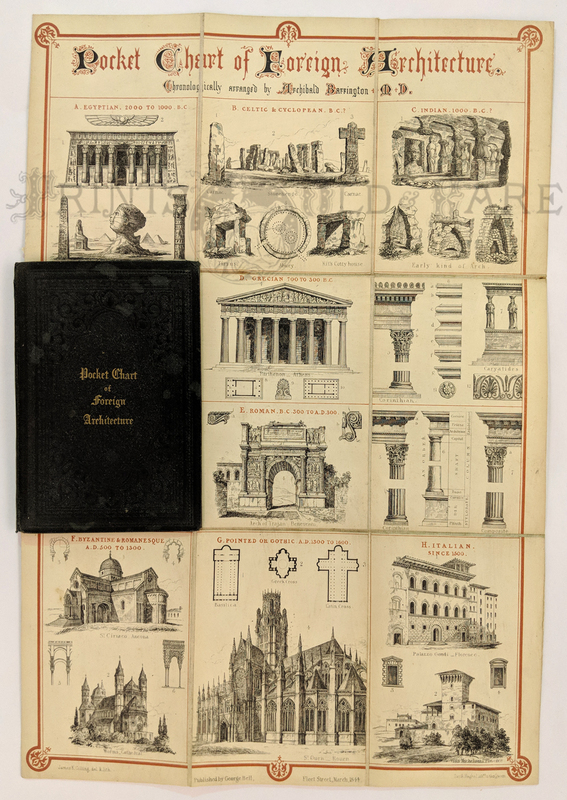 Pocket Chart of Foreign Architecture chronologically arranged by Archibald Barrington, linen backed wood engraving. (1844) Published by George Bell. London. 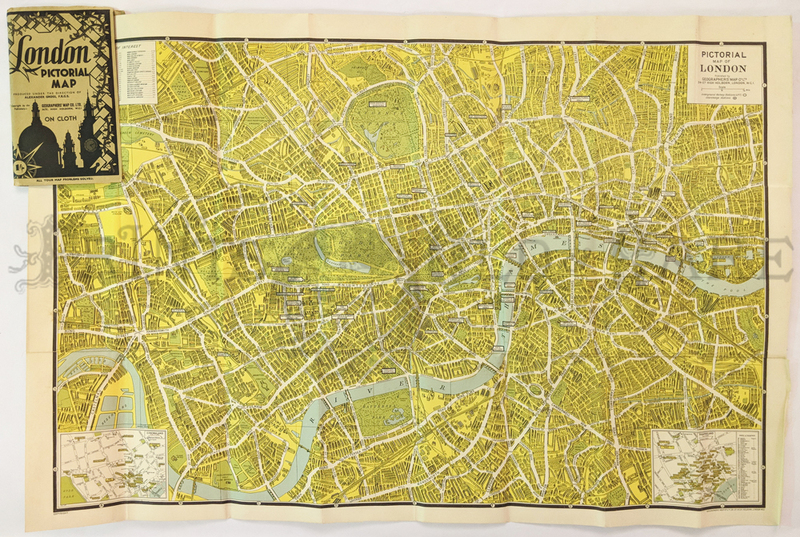 London Pictorial Map. 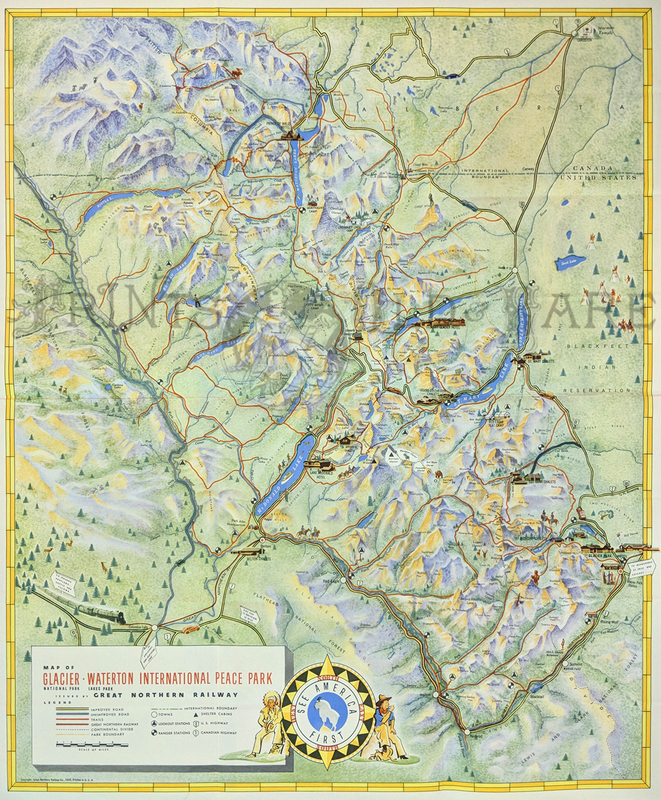 Geographers’ Map Co. Shows places of interest, stations. C.1940. Insets of cinema land and theatreland. Linen backed, printed in color. 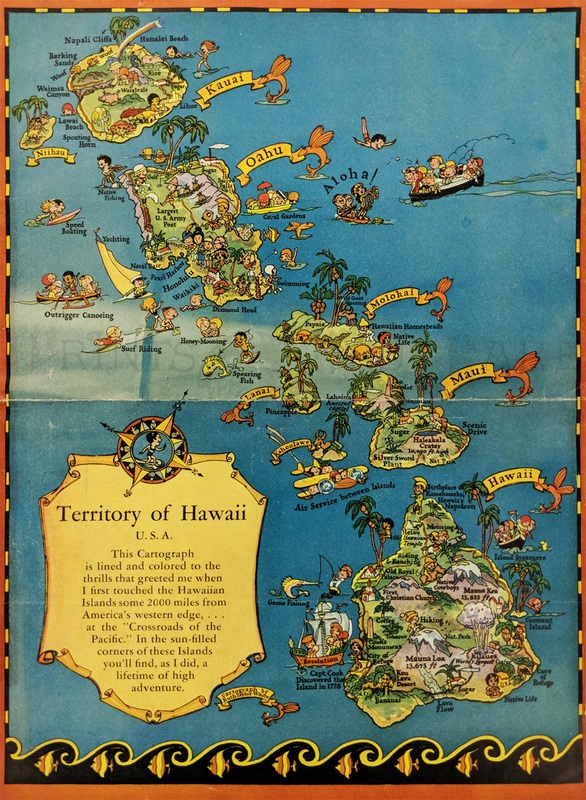 Pictorial Map "Territory of Hawaii" by Ruth Taylor White. 1935. Humorous language tips on verso. Basque Court – San Sebastian 1950s. Charming map of the picturesque town center. Key with 50 locations (in English.) 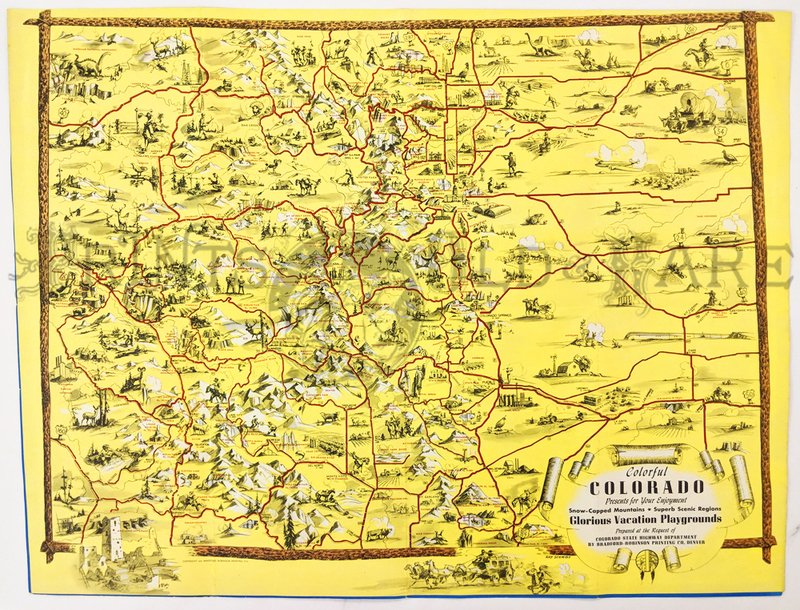 Verso: maps of area. 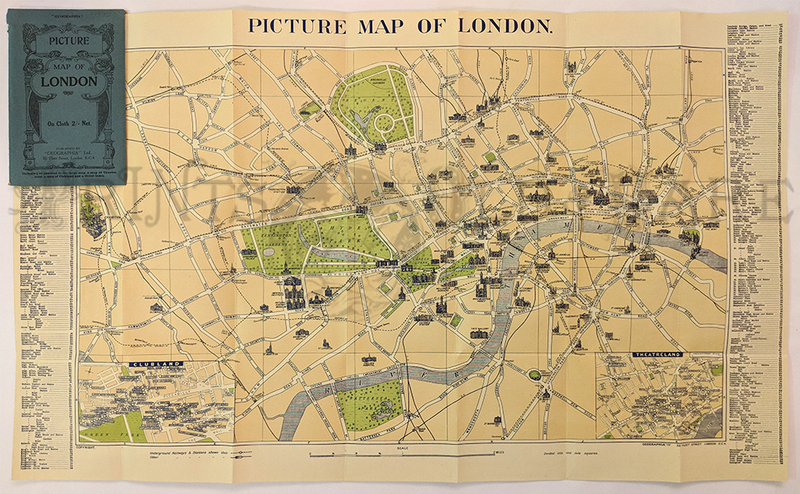 Picture Map of London – by Geographia 1929-30. Fabric backed. Printed in color. Highlights historical sites & buildings. Tear on side. 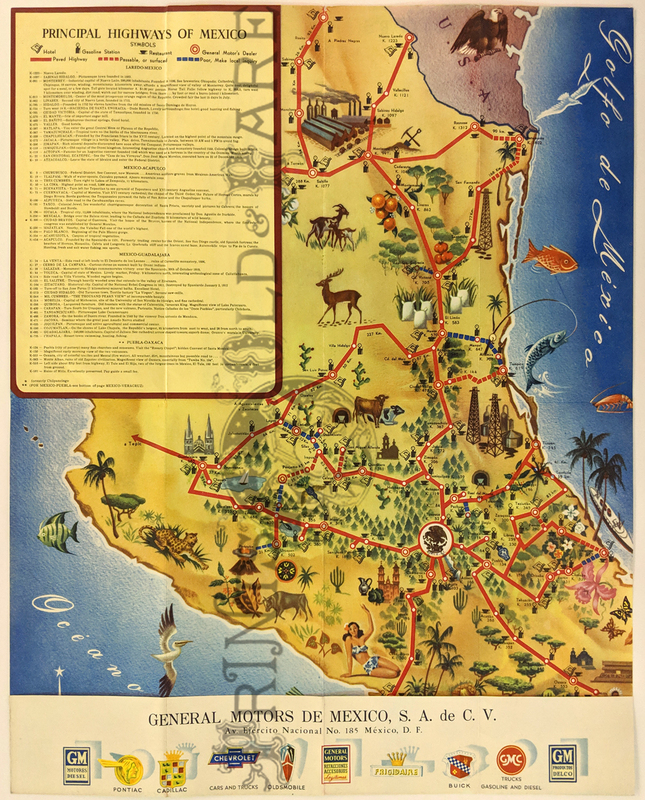 Highway Map of Mexico – Pictorial map showing paved highways, passable and poor roads. Also, hotels, gas stations, restaurants and General Motors dealers. c.1950. Find condition. 1941 Pennsylvania Turnpike Map. 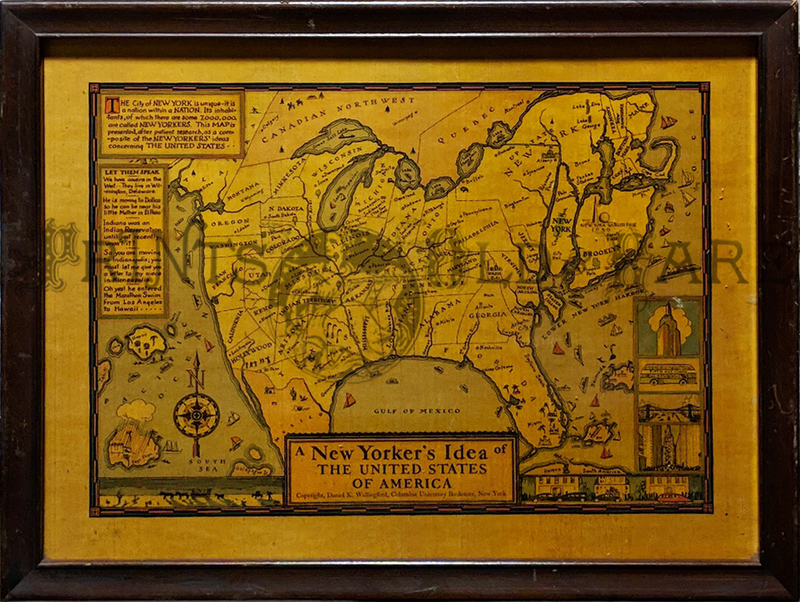 Souvenir with pictorial map one side, facts and photos on verso. Fine condition – also comes with original envelope. Printed in color. 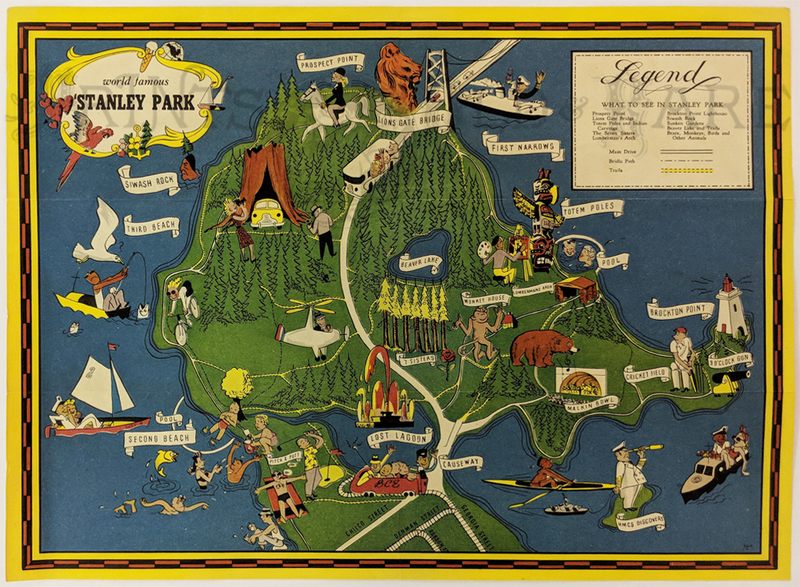 c1940 Cartoon Pictorial Map of Stanley Park. Showing points of interest; Prospect Point, Lions Gate Bridge, Brockton Point Lighthouse, etc. Reverse describes Siwash Rock, Noted Monuments, The Zoo and Shakespeare Garden. 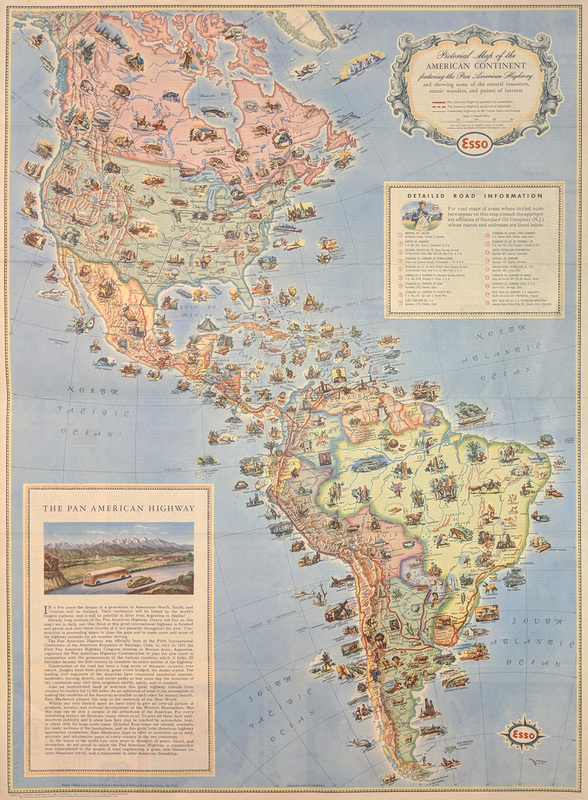 Guatemala Pictorial Map 1930s. Rare. 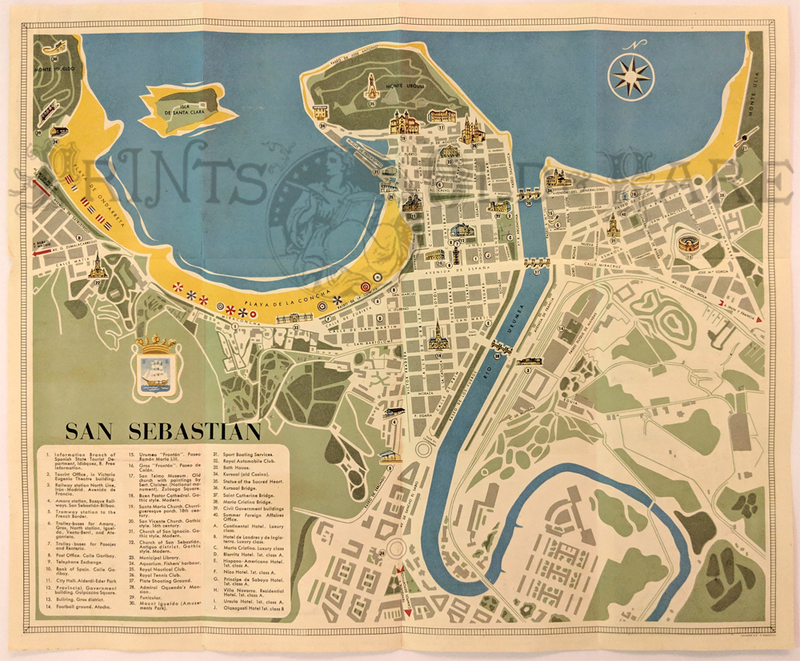 Map by Delfino Sanchez Latour, Published by The National Tourist Committee. Mounted and framed. 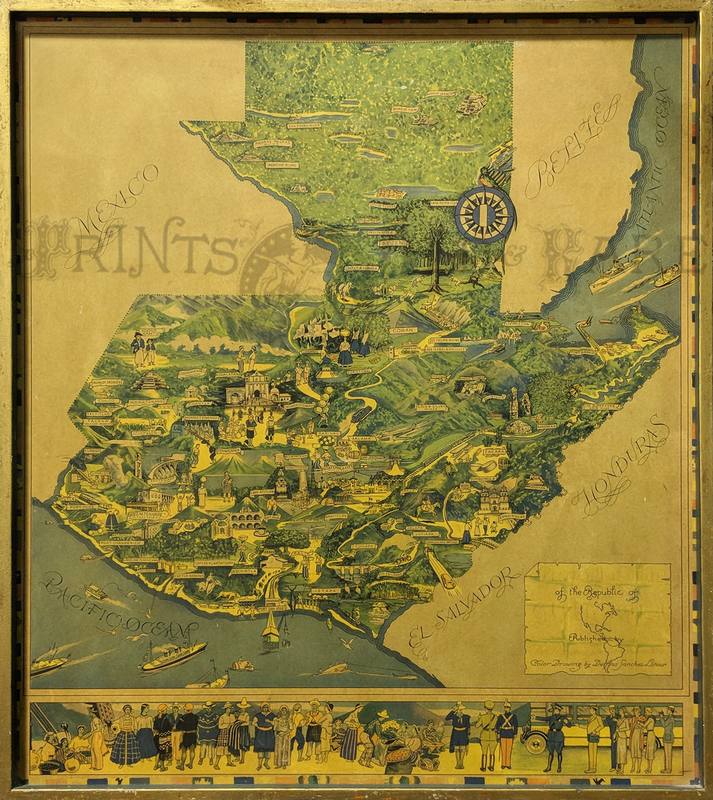 Bottom border shows people of Guatemala. Printed in color. 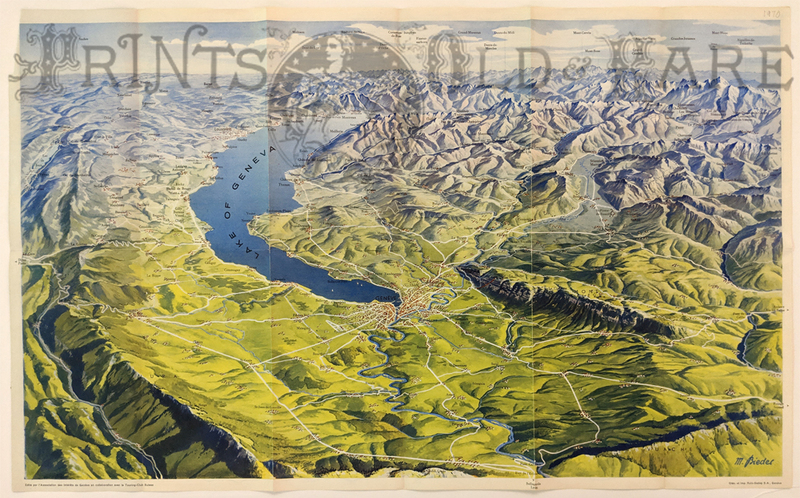 Geneva (Geneve) Pictorial Map by M. Bieder. 1970. Shows elevation of area around Lake Geneva, towns and roads. Colorful and interesting map. 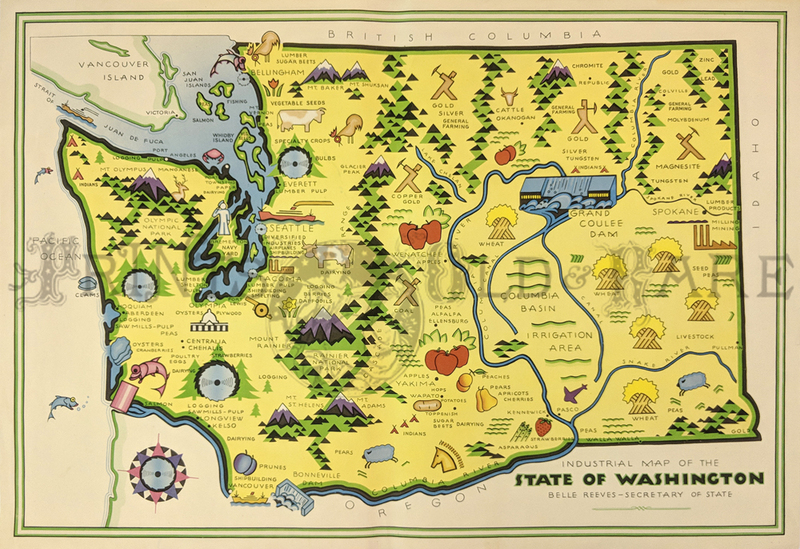 1945 Pictorial Map showing colorful products such as apples, potatoes, strawberries, cherries, animals, industries also Coulee Dam of Columbia, and Basin Irrigation. 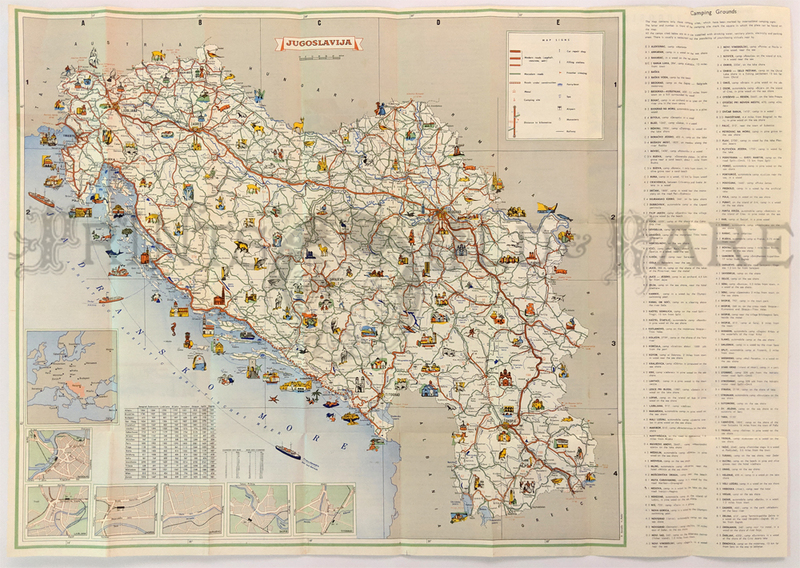 Yugoslavia (before break up) 1965 Pictorial Map by B. Borodin. Shows travel highlights, roads, campgrounds, railways.